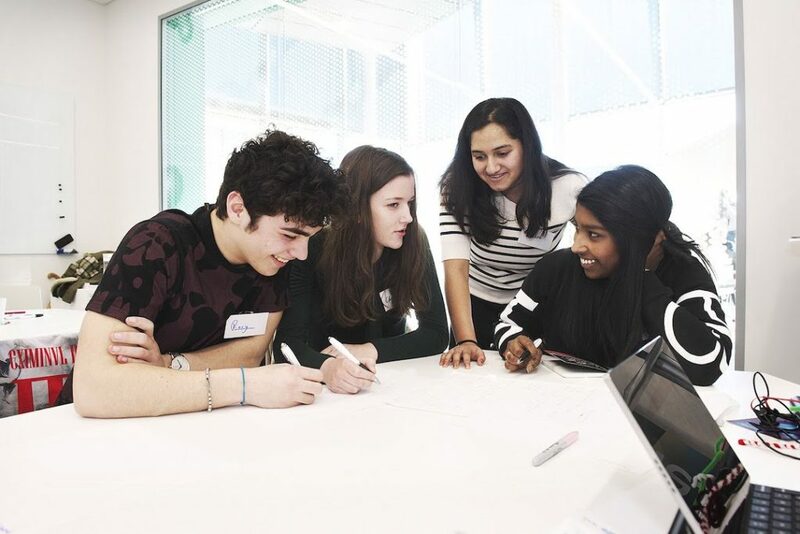 The Eastern AHSN worked with Form the Future CIC to hold a hackathon at the Wellcome Trust Genome Campus for students interested in shaping local health services. The event gave young people the chance to develop innovative products or services that could benefit people with mental health issues in their community. The event took the form of an Enterprise Day, which is an activity that Form the Future CIC hosts to help students exercise their creativity, innovation and teamworking skills whilst learning about entrepreneurship. The event gave the Eastern AHSN an opportunity to recruit new youth members to the East of England Citizens’ Senate, which is a community group that works alongside NHS professionals to take decisions on healthcare in the region. The young delegates heard from a variety of speakers who are involved with delivering or improving healthcare services in the region, including Kevin James, a patient leader in mental health. He shared his personal experience of living with mental health conditions, the difference it would’ve made to have been diagnosed earlier in his life and the difficulties accessing the right services in his area. It’s been a fantastic event and I loved the freedom to come up with new ideas in a friendly, non-competitive environment. Events like this hackathon benefit everyone. Young people get an insight into the workings of the NHS and the chance to contribute to shaping health services while industry, in this case the NHS, gets to learn from young people, with their unique perspectives. By working closely with the Eastern AHSN, we were able to achieve their aims, whilst empowering the young delegates to use the skills and knowledge that they had gained to continue improving services in their local communities. This event was designed to inspire and activate young people. The ideas from today will be shared with the NHS to support them to design interventions that work better for young people. If you are interested in working with young people, but aren’t sure how best to reach them or combine an activity with your business needs, talk to Form the Future CIC. We can develop a bespoke event that will bring value to both the students and your organisation simultaneously, whilst ensuring a tangible return on investment. Contact us at info@formthefuture.org.uk or on 01223 781296 to discuss your requirements. You may also find it useful to browse our Businesses and Schools pages to find out more about how we can help you achieve your outreach goals.